The Vancouver Island Pagan Pride Day is an annual event held at various locations throughout Vancouver Island. 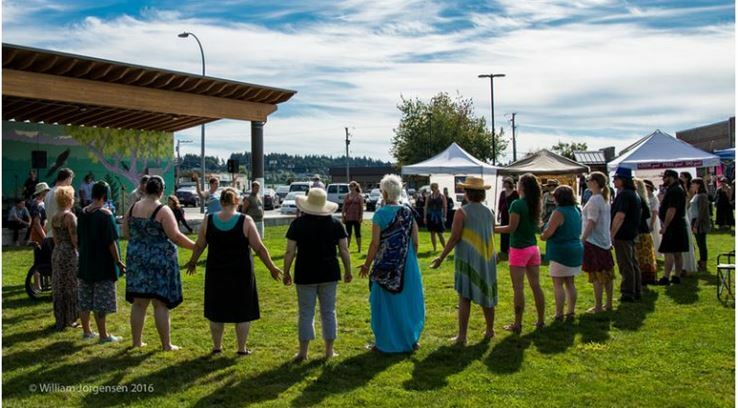 Previous events have been held at Kin Park on the beautiful Departure Bay Beach in Nanaimo, the Comox Valley Exhibition Grounds and most recently in Lewis Park, Courtenay. This year, we move to the southern part of the island to magical Sooke! It has become a place to gather as a community and celebrate, and also to give back, through donations and support of the local food banks and other organizations. Last year, proceeds from the day went to support the Comox Valley Food Bank and Greenways Land Trust.